On Saturday, December 1, the Teen Advisory Board (TAB) presents a special Crosstown Event with the theme of One Night, One Town, One Cause. The evening is open to all students at Fremd and Palatine High Schools and will include a 3 v 3 basketball tournament, dodgeball, concessions, music, crafts, games, prizes, and much more. Proceeds from the event will support programs of Partners for Our Communities (POC). The Crosstown Event will be held from 5:00pm to 8:00pm at Palatine Park District’s Community Center, 250 E. Wood Street, Palatine. The fee is $10 for pre-registered students and $15 at the door. The entry fee includes a t-shirt and activities. All students must have a registration form signed by a parent or guardian. Register online through Palatine Park District. To register at school visit the cashier at either school during lunch hours only. School registration is cash only with a student ID. Registration forms are available at the cashier window – take home, fill out, and bring back signed by parent/guardian with money. Register in person at any Palatine Park District facility (Birchwood, Community, or Falcon Park). Parent/guardian signature required at time of registration. 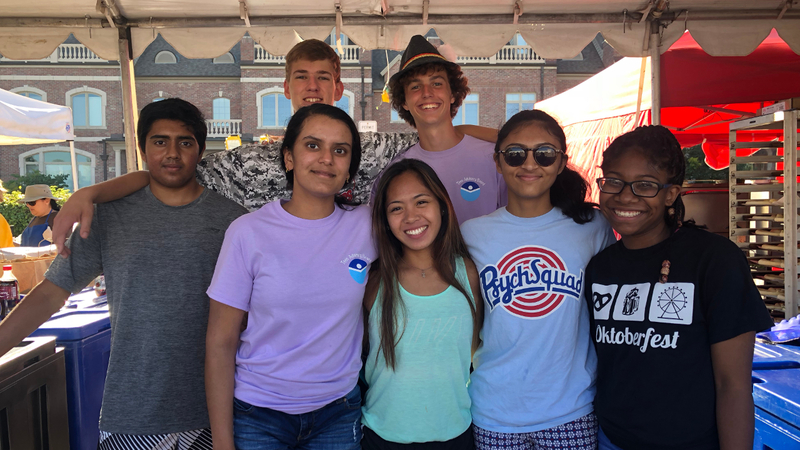 The Teen Advisory Board (TAB) was created in 2016 to help unite high school students from Palatine High School and Fremd High School to work together as one in the Palatine community. The group has evolved to meet the community’s needs and the mission of TAB is to create a bridge between the local community and District 211 schools. For more information about TAB, contact Cristina Correa at 847.963.6351 or youthfamilypoc@gmail.com. Since 1999, Partners for Our Communities (POC) has welcomed and introduced families and individuals in need to the Palatine community. POC connects people with local resources and provides a pathway for their integration and success. We are dedicated to helping people help themselves through a variety of programs and services. In early 2015 the POC board of directors voted to share its programs with neighboring communities.